the 32-year old scientist is now using the technique to find new genes that play a role in developing cancer. sahoo is currently instructor of pathology and siebel fellow at the stanford university institute of stem cell biology & regenerative medicine. 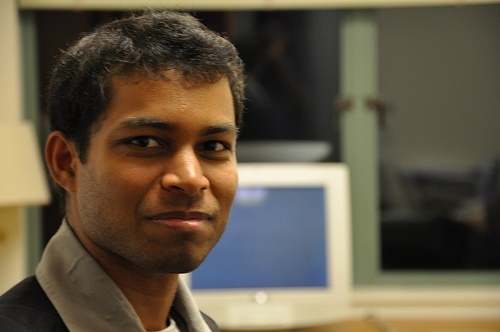 he is researching is on developing new methods to analyze high-throughput biological datasets. he have developed several tools and techniques to analyze large collections of microarray datasets. he have made specific biological predictions and then validated them in collaborations with several biologists at Stanford.the tools through which he analyze gene expression datasets are StepMiner, BooleanNet and MiDReG . Proposed a new method of predicting developmentally regulated genes using Boolean implications. they predicted 62 B cell associated genes where 26 genes show specific defects in B cell function and differentiation from the available 41 mice knockouts. *Computer scientist Debashis Sahoo, PhD, has devised a way to take two known genes and then, in a fraction of a second, find new genes involved in the same developmental pathway. *A little bit of computer science has made it possible to reduce the time it takes to find new genes from years to milliseconds. Researchers at Stanford University have developed a simple processing method for searching through large public databases of genes and their associated proteins. Using Boolean logic (if A then B, if not C then D, etc), they have found a way to suggest which genes are responsible for different stages of complex chemical processes in our cells. Biologists generally take months or even years to find these genes experimentally, but the Boolean search method takes just a fraction of a second. When widely applied, the new method may accelerate genetic research enormously. Great things happen when sciences come together. this is about the stem cells searching and of course it will work. he has made this possible to find genes in few milliseconds, which was earlier not possible.